We live in a world that is making a fast transition to digital everything. Weight loss programs, books, music, even classes and parties are all available online in digital form, and the technology for these applications continues to grow and innovate exponentially fast. Of course, with this rampant growth in the online industry comes an increasing number of threats in cyber security. As every part of our lives becomes digital, we are more and more vulnerable to having our information stolen, our files compromised, and our privacy violated. Hackers and government alike are to blame, as internet surveillance continues to be pervasive in many countries, despite public outcry over such measures. There are a lot of obvious threats to your security, but have you heard of some of these other major cyber security risks? Here’s what you need to be on the lookout for in 2015. The security experts over at Naked Security is always a good place to go for the latest security news. Their recent article on Microsoft’s new Wi-Fi Sense feature provides some unsettling information. It’s a well-known fact that public Wi-Fi networks are notoriously unsafe for their users. With so many strangers coming together on an open network, anyone can be attempting to access your information. Even your sharing settings on your device can give you away, and in many cases are responsible for a number of cyber security breaches. Even more disturbing is Microsoft’s new Wi-Fi Sense feature that allows users to share their network’s password with a list of friends to give them automatic access. The trouble? Like so many other apps, this one can sync up automatically with your Facebook and Outlook contacts, inadvertently giving the thronging masses of people in your friends list access to your network, and if you’re not careful, without your knowledge. Naked Security did a great article on this latest ‘innovation’ by Microsoft that will give you all of the unsettling details. Ah, the ole password theft game. Geek.com is always full of interesting articles and information, so definitely check them out for more on password security, and the latest information heists. It may be a no-brainer when it comes to cyber security threats, but this problem is only growing as hackers continue to test the limits of their prowess, stealing hundreds of passwords at a time in massive security breaches. Remember, keep them random, unique, and most importantly, to yourself. Geek.com recently reported on an amusing, but no doubt disturbing instance, in which a security analyst torrented 10 million passwords – in just one file! It’s an alarming example of just how many people have their information swiped without even realizing it. SecureList is a great resource for security information, so if you’re serious about protecting your online transactions, definitely check them out and see what they have to say on the matter. Some of the most sought after information for hackers is no doubt financial, and with so many online shoppers and vendors, the pool of victims continues to grow. Hackers continue to try to infiltrate financial institutions’ server with malware and phishing software, and in many cases are very successful. Though numbers were down last year, several major retailers had very public security breaches, in which much of their customers’ information was put at risk. On SecureList.com, they did a great article detailing the online financial threats of last year, and how the landscape is changing for thieves and victims alike in 2015. The internet security website Graham Cluley always has some brilliant insight into the latest security buzz, with really comprehensive article on variety of subject. If you’re worried about your iPhone or iPad’s security, go peruse their website. With the release of iOS 8.4, it’s come to light that the previous version of the Apple software had some major security holes in it. Analysts have discovered vulnerabilities that would allow phishing of users’ data, even over VPN connections – a serious concern considering that traffic is so heavily encrypted. I know, a lot of users get sick of constant software updates, but with these updates comes increased cyber security, so it’s time to upgrade if you haven’t already. Graham Clulely covered the issue in this latest article on the security bugs with the previous version of iOS, and makes some great points on the major risks users take by using the older version. The security company Solutionary actually does some really in depth blogging on a wide range of security issues, particularly as they pertain to office and larger system networks. If you’re concerned about the security of your business’s network, they not only sell the products to get you covered, but have some really great information in their blog as well. Cloud computing has been in the spotlight plenty for security issues, and for good reason. The idea of a central shared server that can be accessed by multiple users raises plenty of concerns. There’s not only a threat with the possibility of hackers and other users gaining access to data that isn’t theirs, but even with employees of the cloud company selling those files and information. So is it worth the risk? This is a case where antivirus software doesn’t do you much good. Solutionary did an enlightening blog post on the subject, highlighting some of the major concerns, and weighing the pros and cons of utilizing this popular online service. The world is rapidly changing, and security risks are taking on new and bizarre forms. The Internet Patrol gets into the nuts and bolts of the problems gadget users are facing, and how best to tackle these new and omnipresent threats. Plus, no damn video ads. No, that’s not a typo, and you read correctly, car hacking. We are now in the age where so many cars are equipped with online features and systems, that it is possible to actually hack and remotely control someone else’s car. While not a popular problem, the fact that it’s a possibility has many people raising eyebrows about the safety and security of these features. Other online systems to manage our physical lives, like smart wristbands and home management systems could pose similar security issues. In The Internet Patrol’s article on the subject, they go on to explain how 50% of car manufacturers admit to storing and transmitting driver’s data from these cars, and many to third party companies. How secure is that? How do you even know what or when they’re transmitting? This opens up a whole new can of worms in cyber security. As one of the most common and basic security threats, there is a lot information out there on malware, and Precise Security has proven to be a great resource into understanding how this stuff works. These types of threats used to come through viruses, but now the creators of these malicious programs are getting even bolder, hiding them in plain sight. E-mails with suspicious links often contain a link with a destination that’s different from what it says, tricking you into downloading an attachment containing malware. If you suspect your system has already been compromised, check out this article by Precise Security on how to clean up your system and get things back to normal again. Then, make sure your antivirus protection is top of the line and up to date, so you’re not caught off guard by an attack. Even social media poses a significant threat to the security of our personal information. Online Security Authority explains this and other issues where users are unknowingly giving away their personal information. It’s the age of sharing, and it seems like everyone’s got a blog these days. The trouble with being an open book though is the wrong people start to notice. Using simple details like where you like to shop or what your schedule is, a hacker can gather valuable personal information on you, and use that to trick you into giving out even more. On Online Security Authority, they explain just how easy it is for an identity thief to get these personal details from you willingly, simply by using basic information about you to trick you into a false sense of security. Whether you’re concerned about security, or honestly just need a good old fashioned time wasting game for your Android phone, Shout Me Tech has plenty of great information on both, plus articles of interest on new software and gadgetry. One of the biggest cyber security threats to Android devices is actually one of the most commonly used apps by its customers – the marketplace. Since it’s a free space where anyone can market and sell their software, viruses and hidden bug abound, just waiting for the next downloader to allow it into their phone. Shout Me Tech has a great article about how you can secure your device from these security threats with some of the best antivirus software available. Check out their list of the top ten antivirus software apps for Android. Security threats grow and change constantly, and usually ahead of the measures designed to prevent them. You can keep up with it all though if you check out Threat Track Security – they have tons of great information to keep you in the loop, so you’re never in the dark on your online security. This latest personal attacking tool is currently advancing on Skype users, and is a nasty new way for hackers to get ahold of your money that doesn’t involve stealing your credit card number. This little bundle of software gets into your device, locks down your system and files, and won’t give you access back until you pay a ransom fee through a payment system that comes with the virus – pretty mean, huh? As crazy as it sounds, it’s real, and it’s happening more often than you may realize – your system, your information, a hostage to a virtual abductor. Threat Track Security did an interesting article on this latest attack of ransomware on Skype users that will make you shudder a bit on the inside, and want to take a closer look at your antivirus protection. Some of the most effective security measures are some of the most basic, and you can learn about all of that and more by reading through a few articles over at Full Tech Trick (site as gone ofline). They’re a great place to get basic and advanced information on software and devices. Ask your friends and family, and see how many of them are aware of what their devices’ sharing settings are at that time, and you’ll learn that most people don’t pay much attention to them. Public folders, network discovery, and file and device sharing settings are often in a pretty laxly secure mode by default, and many people share their files without even realizing it. This of course poses a major cyber security threat – like leaving the back door to your house wide open in a bad neighborhood. You can learn more about turning the privacy up a notch in your persona files in Full Tech Trick’s article here about hiding files in a Windows computer, but first things first, take a look at your sharing settings! On TechnoValley’s website (Site no longer available), they cover everything from security to set up guides, so check them out if you want more information on securing your connection for online shopping. It’s something we all do, and it’s no doubt one of the single largest threats to our cyber security. Credit card numbers go like hotcakes in the world of hacking, and with the amount of online shopping the average internet user does, yours is probably being stored in at least a few servers. Hackers frequently get ahold of this information by breaching the companies’ security measures, and thousands of credit card numbers are compromised. TechnoValley (Site no longer available) talks here about how the landscape of cyber security and antivirus measures has shifted, and what’s really at stake with using Visa, Mastercard, and other payment services online. Government interference is the tip of a very big iceberg when it comes to your online privacy. 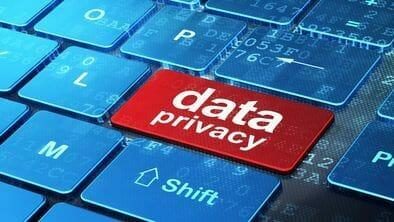 You can learn more about this another privacy issues on Tech Crunch, there they discuss a wide range of topics to keep you up to speed with the latest innovations and adaptations. This is a topic of hot debate around the world, and one that has raised eyebrows and uproar alike among internet users. Many governments feel they can justify extensive surveillance – and even censorship – of the internet in the name of protecting their citizens, their morals, and their secrets, but most internet users feel these policies are a major violation of their personal privacy. In Tech Crunch’s article on the changing landscape of cyber security and privacy, they discuss how hackers aren’t the only threats to your privacy online. If you’re looking for a website that doesn’t just cover security, but all things geekery, Calling All Geeks is a fun and informative place to get some entertaining and insightful article on a variety of tech subjects. There’s a lot of code embedded in websites now that uses its visitors IP address to advertise to them, using information from your searches and purchases to target market products specifically to you. The more nefarious side to this irritating practice is that it’s also something a lot of ISPs do, only they maintain logs for purposes of either regulation or compliance with government agencies. Calling All Geeks lays out the simple solution to this problem with their article on VPNs, which blocks your IP address and keeps your connection anonymous and untraceable. The world is changing, and rapidly. As our connectivity grows, so will our cyber security threats, so keep your eye on the horizon for these and other innovative new ways that cyber criminals and government agencies alike will seek to destroy your privacy and steel your information with – it happens more often than you’d think. Next > Can You Trust a Hotel with Your Credit Card? Amazing article thanks for sharing.I really appreciate your work.Thanks for sharing.